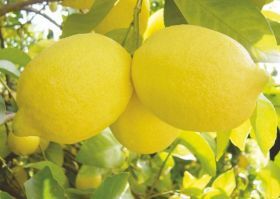 The South African lemon season is almost over, and it is clear that the category is continuing its march of volume growth. Although final exports will be slightly less than the seasonal forecast, total shipments will still be about 6 per cent more than last year’s final volumes. South Africa is expected to ship 19.9m cartons this season compared with 18.8m cartons last year. It was originally thought that volumes would break through the 20m mark for the first time this year. Lemons, along with soft citrus, are expected to grow substantially in future due to recent increases in plantings. The Citrus Growers’ Association (CGA) has also indicated that the total South African citrus export crop will be even bigger than previously announced. The latest prediction places the crop at 135.6m cartons compared with the forecast of 131.7m cartons. This is an increase of 18 per cent year-on-year and a very clear indication that the industry is well on the way to exporting 160m cartons by 2025. The biggest lemon growing region, the Sundays River Valley, exceeded expectations this year with a crop of 8.65m cartons. Other regions were short of predictions. “There were some shifts in export destinations of Southern African lemons in regional market terms,” said the CGA. “The Middle East decreased in both absolute terms from 7.5m cartons in 2017 to 6.7m in 2018, and percentage terms from 40 per cent to 35 per cent. This was also the case in South-East Asia where volumes decreased from 3m cartons (2017) to 2.3m this year." 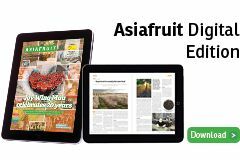 The CGA said Europe picked up some of this fruit, rising from 3.8m cartons to 5.6m cartons, which is an increase from 20 per cent in 2017 to 29 per cent in 2018. The CGA says the Netherlands, with 3.2m 15kg cartons surpassed the UAE (3m cartons). Saudi Arabia (1.9m cartons) was just ahead of Russia (1.8m cartons). The CGA pointed out that most sources list limes and lemons together. “With respect to export volumes, it is safe to assume that Mexico predominantly ships limes, leaving Spain as number one global lemon exporter. Turkey follows at number two, while South Africa and Argentina alternate at positions three and four."